Remedy for blood clotting and more! Often considered a weed, the use of horsetail actually dates back to prehistoric times, and its documented medicinal uses date back to ancient Roman and Greek medicine. Officially called Equisetum arvense, the name Equisetum is derived from the Latin root equus, meaning "horse," and seta, meaning "bristle." The herb gets its name because it somewhat resembles an actual horse's tail. Horsetail has a high silicon content (a mineral needed for bone health) and, as such, has been used to help strengthen bones, hair, and nails. It has even been suggested as a possible treatment option for osteoporosis. And studies have shown that horsetail directly stimulates the production of bone cells, leading to the increased formation of bone tissue. Its most traditional use, however, is as a diuretic. Professional herbalists recognize that its diuretic properties promote the flow of urine, which may be useful for health problems like urinary tract conditions and kidney stones. 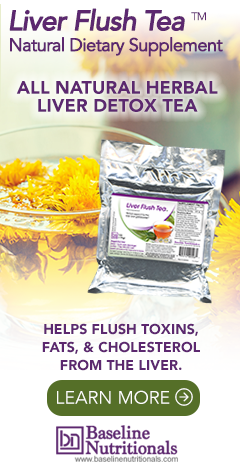 In fact, it is so effective at eliminating water from the body that it can help increase urination by up to 30%. This is the primary reason you’ll find it in both Jon Barron’s kidney flush formula and Liver Flush Tea formula. Horsetail has been shown to possess hemolytic (blood clotting) and antibiotic activity, both of which can help with healing. And horsetail also provides calcium to the body, as well as several other minerals that the body uses to rebuild injured tissue. In addition, the high silica content in the horsetail herb helps reduce the risk of excessive bleeding and contributes to the building of healthy blood cells. Research has shown that horsetail increases the number of phagocytes, white blood cells that get rid of microorganisms and other foreign substances, which improves the entire immune system. Also, horsetail herb can inhibit the growth of toxic molds. Currently, the herb is available in dried and liquid form. It can be taken as a tea, tincture, or as an external compress. Horsetail contains some nicotine and should not be used if you are also using nicotine replacement patches or chewing gum. Read more about natural liver detoxing. Foster S, and Duke JA. 1990. "Horsetail in Medicinal Plants." Houghton Mifflin Co., New York, NY, p. 304. Wichtl M (ed). 1994. "Equiseti herba -- Equisetum (English translation by Norman Grainger Bisset)." Herbal Drugs and Phyto-pharmaceuticals. CRC Press, Stuttgart, pp. 188-191.
may i study your references about the effect of horsetail on bone formation? Intresting about the nicotine component, I'very mainly taken Horsetail supplements for the Silica, did not realize it had so many other uses. Side note, here in Oregon (at least in the Portland area, it grows wild in my front yard it's almost invasive). Once upon a time it was used for polishing metals as it fairly coarse -probably the silica content. I've seen a lot lately about horsetail as it relates to dental health. But what is helpful to bone would have to be beneficial to maintaining the structure of teeth. If this was to be updated at all, I think this would be good information to include.